One business resolution worth keeping is making a commitment to attend more in-person networking and education events. For entrepreneurs in and around the tech industry, conferences are an essential way of getting up to speed on the latest developments, finding great new services, and getting a read on potential clients, customers and investors – plus, you never know who else you’ll meet. The Next Web, for one, started life as Amsterdam’s first tech conference (not to mention, probably the world’s first conference to have its speakers serve you drinks). 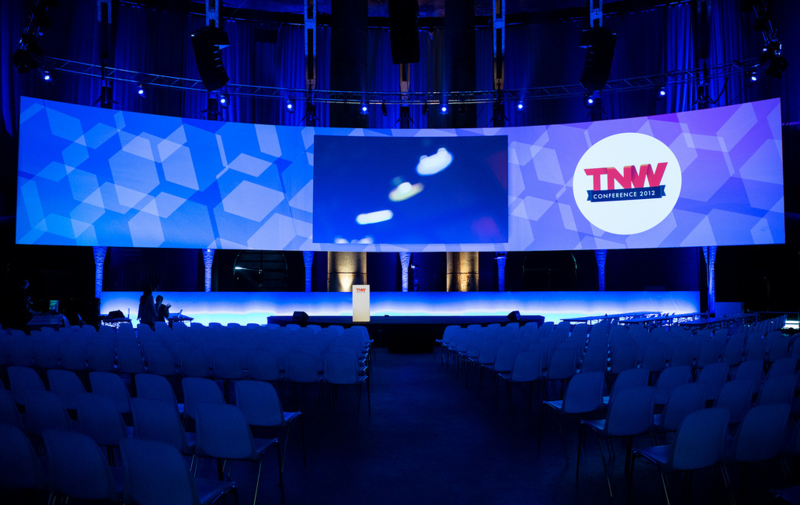 The Next Web now holds renowned events around the world, with its next instalment – #TNWUSA 2014 – taking place on December 10th in New York (click here for tickets). However, the tech industry is a huge scene. So how do you separate the weak from the strong? Aside from TNW, which conferences are worth it? What tech conference are you most excited about attending in 2014? Their top 10 answers are below. Every year I go to Velocity, and I trade notes with some of the smartest operations guys around on the latest Web performance and operations, which results in huge savings and performance increases for my company. If you are going to follow the advice of one tech luminary, I believe Eric Ries is your winner. He runs the Lean Startup Conference. As a startup, focusing on the themes of the conference, iterating and learning, is the most powerful thing you can do. This is by far my favorite conference to attend each year. Fast Company delivers extremely high-quality content at Innovation Uncensored. A lot of tech conferences focus on networking and forget about content. Innovation Uncensored consistently impresses me with the new tech info it brings to the conference. It always has the newest, hottest brands there. Techweek is in New York, Los Angeles, Chicago, Miami and Detroit this year. One of my investments went to New York, Los Angeles and Chicago and had nothing but good things to say about the quality of speakers and the fun they had. InfusionCon is one of my favorite conferences every year. It delivers top-notch information in the marketing automation sector. It features an “ultimate marketer” competition, which presents stories about true small businesses that are crushing it with very small staff numbers, but have huge growth and sales. Seeing the possibilities of new ways to use this software is always eye opening and idea generating. The Society of Digital Agencies is the premier group in the digital space. Every year it has an invite-only event for members to come and share best practices and experiences and to just talk about the state of digital. South By Southwest Interactive used to be a great place for information. Unfortunately, it’s more of a popularity contest and spring break for ad agencies than a good place for info now. If South By Southwest Interactive organizers could better cultivate the sessions and topics and not make it just about popular vote, then they’d have a great conference again. The Digital Life Design conference in Munich is always on the top of my calendar, but especially this year. With it being the 10th anniversary of the conference series, I expect it to be better than ever before! FailCon is the best event for entrepreneurs, hands down. Most people only see others’ successes and never their failures, but this event gives it all. FailCon is a one-day conference for technology entrepreneurs, investors, developers and designers to study their own and others’ failures, so they can prepare for success. Like most, I learn by watching other entrepreneurs I admire and either follow somewhat in their footsteps or know when to pivot if necessary. There are many amazing events out there, but one day I aspire to be speaking about all my failures at FailCon. I am really looking forward to South By Southwest Interactive. We made some really good connections there last year and saw some awesome stuff coming up. I am excited to see what is showcased this year. The Small Business Web Summit is awesome because all small business SaaS providers are in the same room at the same time.